Cargo Ramp Series Bed Slide. If you need something more reliable than an ordinary slide-out drawer system, you've come to the right place. 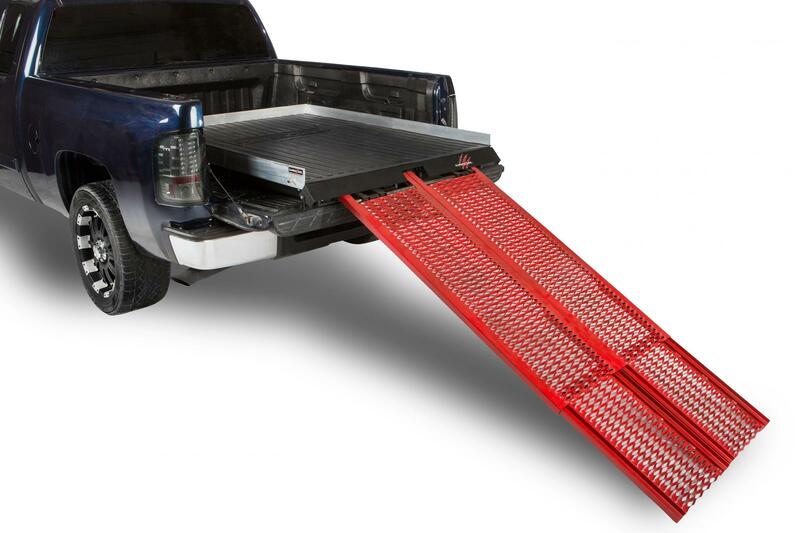 Never forget your ramps again with this highly efficient Cargo Ramp Slide, you can drive up and park your cargo right on the deck of your slide. 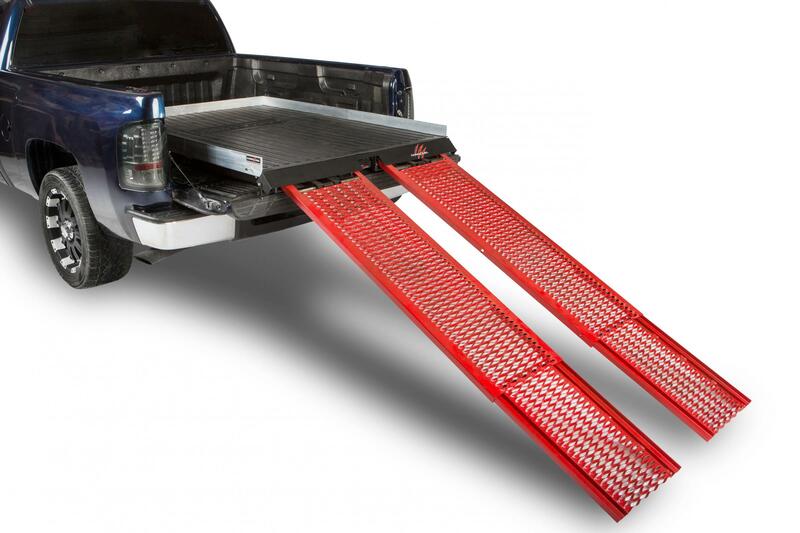 All you have to do is utilize the ramp system located under the deck and you are ready to load or unload your bulky cargo. Perfect for your 4-wheeler ATV, or any wheeled type cargo, up to 1800 lbs.